Written by Tunisha W. Walker, Capalino+Company’s Senior Vice President and leader of MWBE Consulting Group. Are you an MWBE or technology company looking to succeed in NYC? Contact Tunisha at tunisha@capalino.com or 212-916-5837. New York City is a flourishing hub for technology startups, innovation, new ventures and media, now second only to Silicon Valley in the global startup ecosystem ranking. It is considered one of the most friendly big cities for women in the technology field. According to Built in NYC, women hold 40% of our City’s technology jobs, and the number of women business owners in New York rose by 65% between 2002 and 2012. 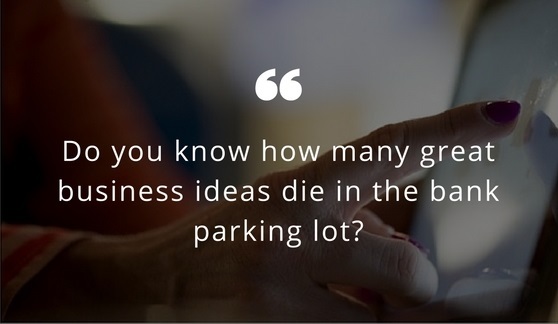 That’s 45 new businesses every day. NYC also boasts the highest number of female tech founders in the world at a rapidly growing 28% and now has twice as many women-owned businesses as any other U.S. city. With those numbers, it is not surprising that NYC was ranked #1 in Dell’s 2016 index of the top 25 global cities for women entrepreneurs. This ranking reflects the measure of a city’s ability to attract and support high potential women entrepreneurs. Even with NYC’s progress, we still have a long way to go. Women have been experiencing issues like access to capital for over two decades. Only 4% of senior venture capitalist roles are filled by women, according to Forbes. Over 20 years ago, one Colorado woman asked First Lady Hillary Clinton, “Do you know how many great business ideas die in the bank parking lot?” The aspiring entrepreneur had just been turned down, again, for a credit line critical to her technology startup. The good news is that investment firms focusing on women entrepreneurs, started by women and ran by women, are out there supporting us. If you are looking for funding, you might want to reach out to Sonja Hoel Perkins, founder of Broadway Angels, an angel investment group composed entirely of women. Perkins was one of the first, and when she started, one of the only women in venture capital investing. According to My Domaine, she created Broadway Angels as a way to combat years of tech investing being only male. Founders like Sonja drive entrepreneurship and serve as an example of success. There’s nothing like a personal story to encourage growth and motivation. Female entrepreneurs, like many entrepreneurs, started by resolving a problem that was initially personal and satisfied the needs of many. That’s why diversity and inclusion of women in tech is so critical- it encourages different perspectives and ideas that foster the flame of innovation. These female role models are a key source of inspiration to women interested in innovative careers. Kimberly created her company out of a desire for her daughter to learn computer programming and develop an interest in technology. Black Girls Code reaches out to girls in underrepresented communities and introduces computer coding through workshops and after school programs. The company now has 7 established institutions, and has operated in 7 states in the US, as well as Johannesburg, South Africa. An ad agency veteran and a community driven problem-solver came together at an Advertising Women of New York Committee meeting and soon after formed DigitalFlash. Laura Mignott and Sara Walker-Santana created the innovative NYC-based digital experience agency that helps brands and start-ups tell their stories online and offline by creating experiences that target influencers and drive online engagement. 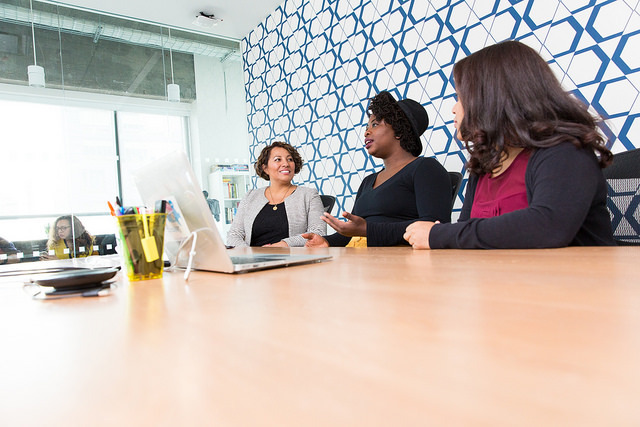 In 2015, Capalino+Company’s MWBE Consulting team worked with DigitalFlash to acquire their NYC WBE status which gives them a competitive edge when applying for government contracts and maximizes their profitability and sustainability as a women-owned company. Read our success story here: Capalino+Company Helps DigitalFlash Leverage their MWBE Status. After a series of constant, frustrating apartment moves in NYC, Reham was inspired to create AptDeco- a peer-to-peer marketplace for buying and selling quality pre-owned furniture. During college Reham worked at the Office of Women in Engineering at the University of Maryland and launched a number of programs to inspire girls to become engineers. She believes increasing educational opportunities will help create more women technology entrepreneurs. With a passion for dance and entrepreneurship, Payal has been called a “dancetrepreneur.” Her passions inspired both of her ventures which make working out more engaging, accessible, and affordable. ClassPass is a membership program for fitness classes across multiple gyms and studios and the Sa Dance Company is a contemporary Indian dance company. Christina began building education programs in her home state of Georgia, then moved on to start schools and youth programs in the US, China, the Palestinian Territories, Kenya, and Nigeria. In co-founding Andela, Christina found a scalable way for bright, disadvantaged young people to receive training and employment without taking on debt—and without leaving their home countries. Her company Andela provides a pipeline of vetted tech talent from the African continent to companies that range from Microsoft and IBM to dozens of high-growth startups. Technology now encompasses most industries around the world, and has an increasingly strong impact on everyone around it. The fact that the technology and innovation sphere has blown up in the past decade is a testament to the drive, creativity and vision of its leaders, a few of which are listed above. These women are paving the way for more female entrepreneurs and technology leaders across the globe. Their success stories build momentum, inspire more initiatives and encourage young women all over the world to explore careers in the technology field. Senior Vice President Tunisha W. Walker runs Capalino+Company’s MWBE Consulting Group and holds extensive experience advising female entrepreneurs throughout New York City and State. 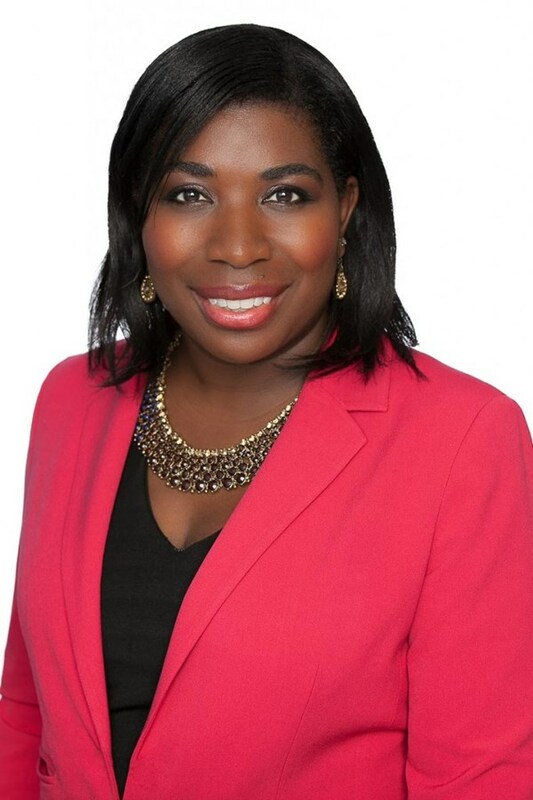 She formerly served as an Affirmative Action Administrator with the NYS Department of Labor-Division of Equal Opportunity Development (DEOD) and is an expert at connecting New York MWBEs to business opportunities within city and state governments. Are you an MWBE or technology company looking to succeed in NYC? Contact Senior Vice President Tunisha W. Walker at tunisha@capalino.com or 212-916-5837. Get The Latest From Capalino+Company! Sign up for our free weekly newsletter for a roundup of top news and appointments from New York City and State government straight your inbox every Friday. Plus the latest business and funding opportunities, RFPs, City Council Hearings, events and more! Click here to subscribe to Affairs+Appointments.